available from Amazon in March. 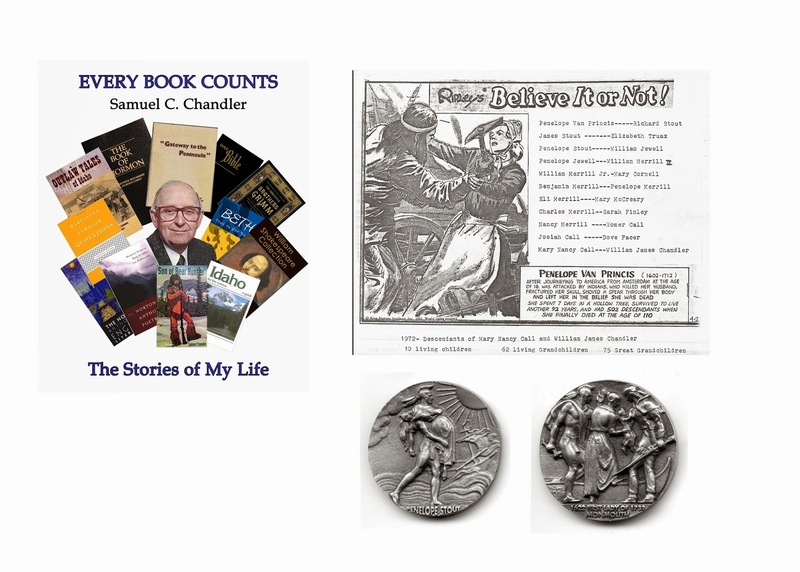 In Chapter 2 (My Ancestors) of Every Book Counts: The Stories of My Life, Sam Chandler writes that his genealogical research of his family names in England revealed that the Chandler men were in Sam’s words common men. He remarks he discovered no royalty in his family. However, in the Chapter on Mary Nancy Call and her father Nine Call, we learn that Mary Nancy and Nine are direct descendants of Penelope Van Princis Stout, an early white settler of Monmouth County, New Jersey. Penelope was the daughter of Daughter of Baron John van Printzen and Penelope van Princis. Sam’s mother is the descendant of a Dutch Baron. Penelope Van Princis Stout is the 10th great-grand mother of Lynette Chandler and her siblings.